I had in my mind a great Critter Corner subject for this month and then, life got in the way. It happened when I was sitting with my 16 year old dog in the Emergency Veterinary Clinic at 2:00 a.m. Let’s travel back in time 14 years and start this story at the very beginning. Our little Heidie is a wire-haired dachshund. She came into our lives because she was supposed to be a ‘breeder’, a task at which she failed miserably…lucky for us. She lost her first litter of puppies which resulted in her being spayed, rendering her useless to her owners. Heidie was 18 months old when she came to live with us, straight from a pen full of other dogs having had minimal human contact. It was a long road for this petite pup. We taught her to walk on grass, to enjoy outings, to trust her family to take care of her. She was such a timid little thing, until we found her ‘sweet spot’….food!! She would do anything and everything if a treat was involved. And so we began, instilling self-confidence, teaching trust, house-breaking, showing her how to play. But for as much as Heidie learned, she taught US so much more. Most importantly, I think, she showed us how easy it is to let go of the past and live life in the moment, happy with what you have, no worries of what tomorrow might bring. She has taught us grace in the face of adversity, having gone through medical crisis after crisis with a wildly wagging tail and cheerful disposition. In the past two weeks, Heidie began having issues with her eyes. In the matter of a day, she lost sight in one eye with greatly diminished vision in the other. It’s quite a painful condition but she continues to teach life lessons every day. Blind you say? Deaf you say? Well then, Heidie will just follow her nose! She has already memorized familiar paths in the house and outside….trotting with abandon across the patio in hopes of getting a treat upon entering the house. Which brings me to the other morning. Heidie’s eye suddenly became excruciatingly painful. We have a wonderful veterinarian however, it was midnight and it quickly became clear that Heidie needed medical attention quickly. Fearing a rupture of her eye, we loaded up and headed for the emergency clinic. Sitting there at 2 a.m., reflecting on two weeks of eyedrops every 1-2 hours (day and night), antibiotics, daily vet visits, acupuncture sessions…..it got me to thinking of the ways in which animal care evolves as your pet ages, the importance of preventative care and changes you might see as your pet ages. 1. Be aware of changes in behavior and appetite. Older animals can decline quickly so it’s better to be safe than sorry and schedule a veterinary visit if changes are noticed. 2. A common challenge for senior pets is mobility. Whether from an illness such as arthritis, injury or a debilitating illness, many elderly animals have difficulty with jumping or walking. Ask your vet for supplements that may help ease your pet’s joint discomfort. Consider ramps where appropriate and beds that offer support and are easy for your pet to use. For cats, choose a litterbox that is easy to enter/exit or place a small ramp or steps on the outside of the box. 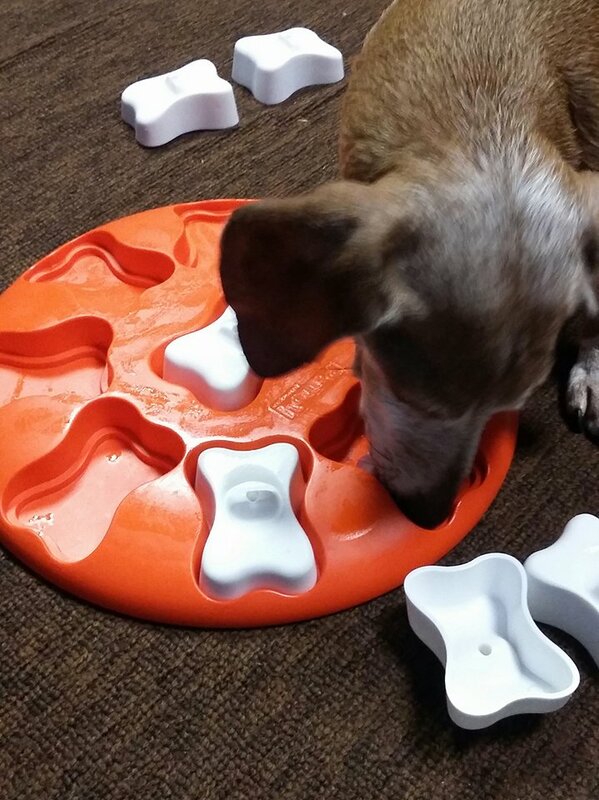 For dogs, consider elevating their food/water dishes to provide comfortable posture while eating. Ensure that all the above items are readily accessible to your pet. 3. Feed your pet a good quality diet and strive to maintain a good body weight. If your pet is obese, it is important to reduce weight as excess pounds put extra stress on joints which can cause pain and other health problems. Work with your vet to formulate a safe diet plan for your pet. Be aware that older animals sometimes develop difficulty digesting their food and may need diet adjustments. 4. Elderly animals can develop dementia. If this is the case with your pet, do consult with your veterinarian regarding medications that may increase cognitive function. Assess your home to ensure a safe environment for your pet. Consider blocking stairs, removing clutter and limiting access to rooms the animal can safely navigate in. 5. Healthcare is extremely important. Senior pets should have a wellness exam approximately every 6 months which would include a physical exam and bloodwork. Many health issues are more easily treated if found early. You may notice your pet’s eyes appear cloudy and s/he doesn’t see as well or your pet may not hear you enter a room because of hearing loss. If that is the case, it is imperative that you approach slowly, speaking clearly so as not to startle your pet. 6. Proper dental care is extremely important. Infected teeth can cause all sorts of problems from decreased appetite to heart disease. My dog’s teeth are brushed daily using a child’s soft toothbrush and enzymatic canine toothpaste. 7. Let’s not forget mental health. Senior animals will oftentimes prefer a quiet environment with predictable routines and gentle, calming interaction with family members. Enrichment activities are also important. (See photo at left) Our JR is blind and hearing/mobility impaired so his previously beloved activities of ball playing and long walks are no longer possible. But he loves his puzzle box! Small pieces of treats are hidden and JR must uncover them…a job at which he is most proficient! Enrichment toys come in all varieties from easily accessed treats to more challenging ones. Another favorite game is to cover a small treat with a hand towel…he loves the task of finding a reward. For more helpful tips, please check out the following website….it is written for dogs but many of the tips are applicable to cats as well. 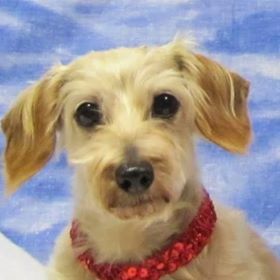 Caring for a senior pet can be a time consuming endeavor but when you think about the years of devotion, the endless unconditional love, warm cuddles on a cold night…your bond deepens, special memories fill your heart as you realize that an aging pet can still live a fulfilling, happy life. While eyesight and hearing may fade, while it may be harder for them to get around, these are golden moments spent with your ‘old friend’. Cherish these times, they will be gone in a flash leaving you with precious memories in their wake. As I write this, Heidie slumbers peacefully by my side, my Good Ole Dog, my Good Ole Friend. Jeanna Billings is an Animal Communicator serving an international clientele, a Reiki Master and a Certified Crystal Healer. She volunteered for many years with humane societies and animal rescues, serving as a Board Director, Adoption Counselor and Humane Educator. 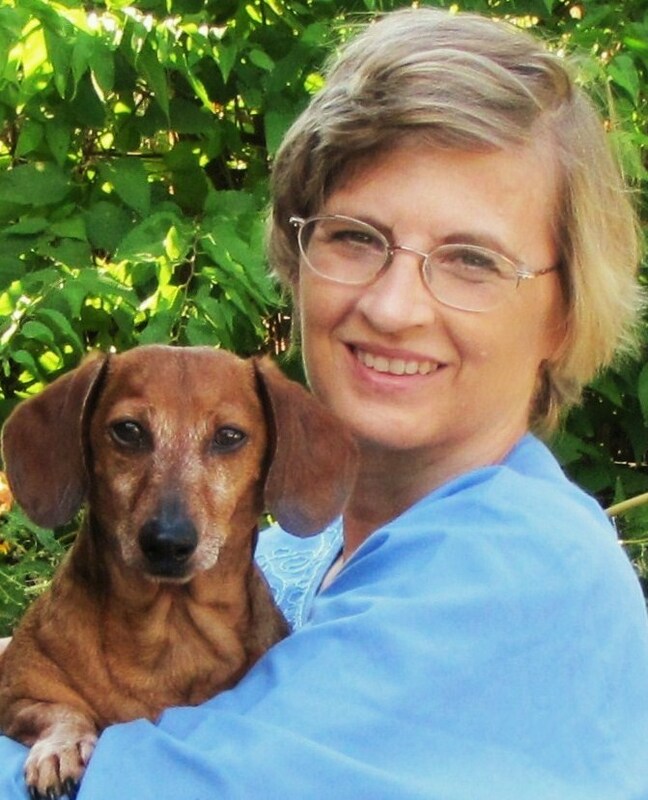 She currently teaches animal communication classes and provides private consultations. She lives in Indiana with her husband, three dachshunds, two cats and a very chatty parakeet. You can find her online at www.ShamansSpirit.net .